Vicky is on the British Horse Society register of instructors. UKCC Level 2, working towards level 3.Vicky has 17 years of coaching experience and has trained with top riders such as Michelle Fox, Karen Dixon, Nigel Taylor, Jeanette Brakewell and Caroline Moore. Has been BE eventing for 8 years with numerous top 10 placings. Trains horses for other people. Vicky coaches riders of all levels and abilities. 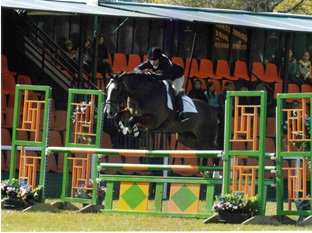 Has horses eventing and show jumping up the grades. Has a string of event horses mainly homebred by Susan Torr. These lessons are great for new combinations, starting young horses or just for building your confidence. All ages & levels catered for. This entry was posted by Michael. Bookmark the permalink.